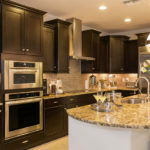 Kitchen Islands, Asheville, NC | Off Duty Fireman Construction Inc.
'); // });Kitchen Islands, Asheville, NC | Off Duty Fireman Construction Inc.
Add a new kitchen island to your Asheville home and enjoy a variety of incredible benefits. Adding a kitchen island to your kitchen has many ideal benefits. For example, it creates an additional food preparation space. It’s amazing how quickly you run out of room when you’re cooking or having guests over. The more space you can have for preparation, the better. The amazing thing about kitchen islands is that they can also double as additional seating for mealtimes. One more incredible feature about kitchen islands is that you can sometimes double the storage space in your kitchen by adding cabinets and shelving under the island. Kitchen islands are a great addition to your home, especially if you entertain often. As mentioned previously, an island can double as additional seating. It also provides a great place to lay out food for guests. The extra counter space is always appreciated when you’re preparing food for a lot of people. An island is also a great way to open the kitchen, so it is not so closed off from the rest of your downstairs. You may be able to forego an extra wall of cabinets and replace it with an island, which is a much nicer layout for entertaining. Then you have one large space that is open and comfortable. At Off Duty Fireman Construction Inc., we offer kitchen islands that are customized to your space. Add a new kitchen island to your Asheville, North Carolina home, and enjoy a variety of incredible benefits. We know this small change to your kitchen can greatly improve the aesthetic appeal and overall function of your space. At Off Duty Fireman Construction Inc., we build kitchen islands for residents of Asheville, Waynesville, Hendersonville, Black Mountain, Arden, Maggie Valley, Charlotte, Lenoir, Hendersonville, and Winston-Salem, North Carolina.